Can’t wait to get a copy of this magazine! The uploader is a photographer/art director. I like the fact that it is in English, Japanese, and Chinese. Less frustration for international Kpop fans. ^^ Seung Gi’s interview is on page 48 in the MOVIE section titled “Lee Seung Gi’s Fragrance of Love”. Looking forward to reading his interview on ‘Love Forecast’. 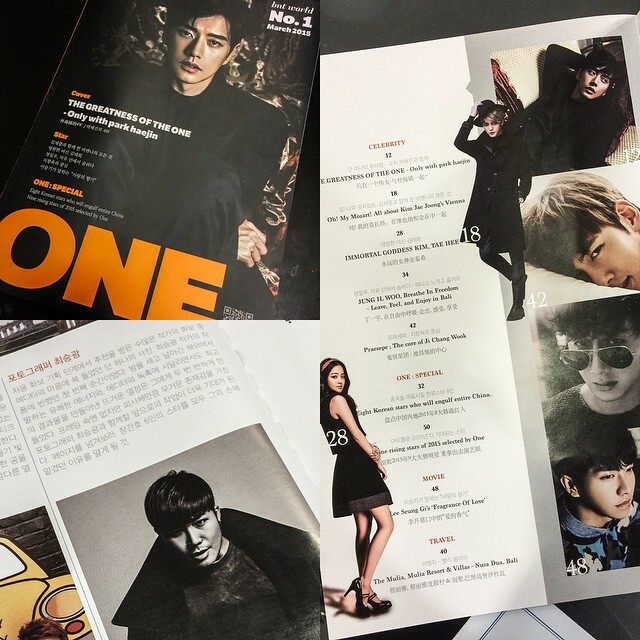 ONE : The first bnt-world magazine just came out! This amazing magazine will come out once every two month. And the best part is…it’s FREE! The only question is, how do you get a copy? So many people left the same question in the comments section, but he hasn’t answered yet. Categories: Interview, Magazine, Movie, Photos | Tags: Bnt, eskey_choi, magazine, ONE, photos | Permalink.